Popular tourist destinations such as Orchard Road, Sentosa and islands such as Pulau Brani have been targeted as potential areas for revamp by the government. This was revealed by Chee Hong Tat, senior minister of state for trade and industry & education at a recent travel trade event held in Singapore. Plans are currently underway together with the Urban Redevelopment Authority, Land Transport Authority as well as business owners and industry players to reinvent Orchard Road. 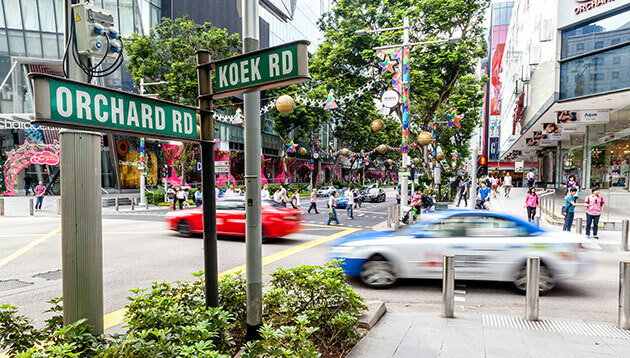 Although these plans will be revealed at a later stage, Chee explained that Orchard Road would hold potential to be “more than” a shopping belt. For example, it could hold a position as an urban garden or innovation district for companies, start ups and social entrepreneurs. This will allow the testing of ideas in areas such as new retail concepts, urban logistics and environmental sustainability, while using Orchard Road as a living lab. Meanwhile, plans are in the making to “reshape the entire island” and provide more scope for new attractions and investments on Sentosa. As for Pulau Brani and the Greater Southern Waterfront, government agencies are drawing up development plans as the container ports at Tanjong Pagar will be moving out from the city in the coming decade. According to Chee, Singapore had achieved 9.2 million visitor arrivals to Singapore in the first half of 2018, a 7.7% increase over the same period in 2017. Out of that number, about 1.3 million or 15% of the visitors were here for business travel and meetings, incentive travel, conventions and exhibitions (BTMICE), contributing SG$2.2 billion or 22% of total tourism receipts. Most recently, the Singapore Tourism Board (STB) launched Fast Forward, an SG$1million fund to encourage Singaporean and Singapore-based content creators to create local content for a global audience. Through this fund, STB is seeking to support films, videos and animations that creatively feature Singapore and bring to life the Passion Made Possible brand or Passion Tribes. The videos aim to reshape conversations around SPM and spark topics such as Malaysian family dynamics beyond the usual “What resul..
Kenshoo , a global digital marketing technology firm, has appointed Michel van Woudenberg as managing director, Asia Pacific and J..